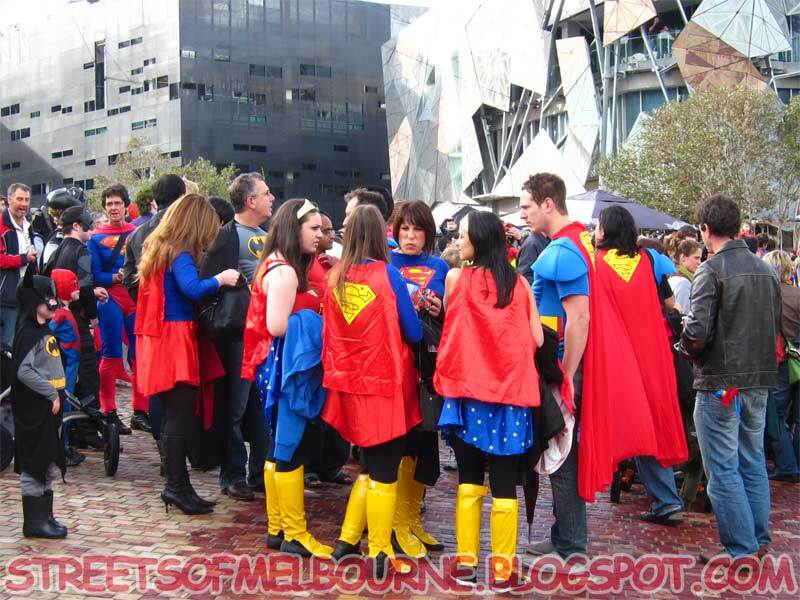 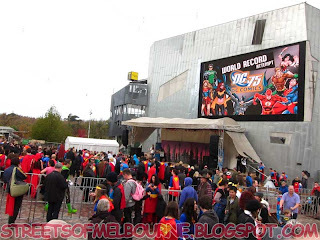 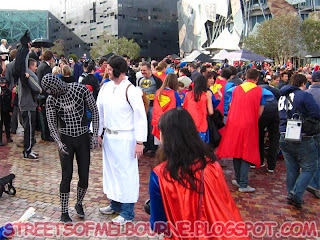 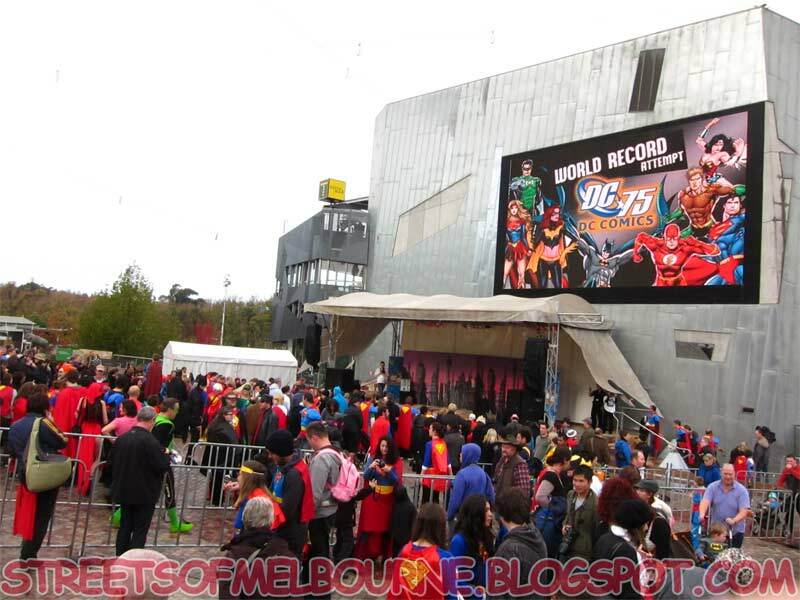 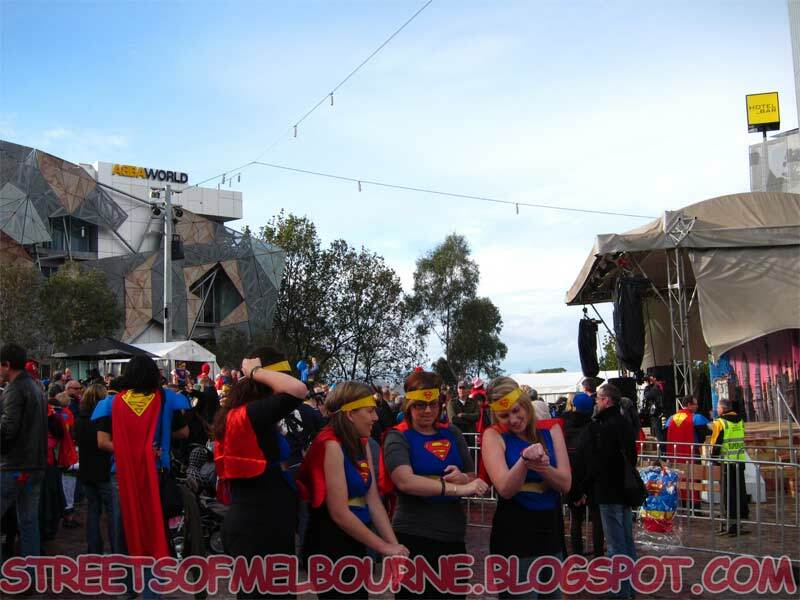 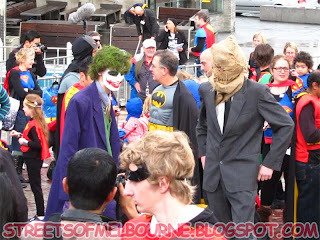 In Federation Square on the 29th of May 2010. 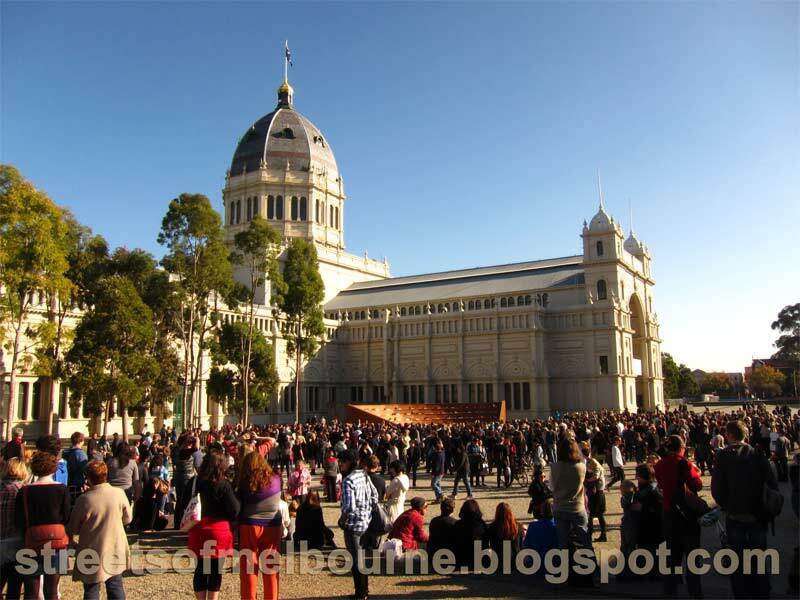 Article on this can be found here http://tinyurl.com/3y5xq4h at the Age.com. 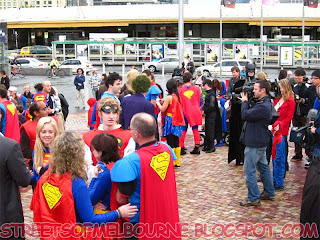 Way to many Supermen and the odd few Spiderman and Batman mixed in. 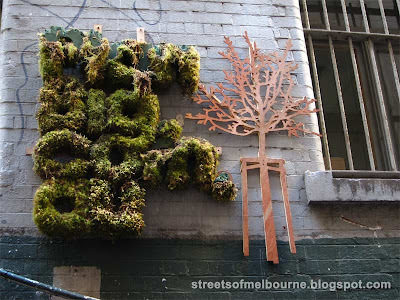 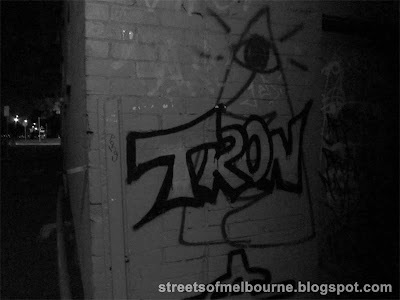 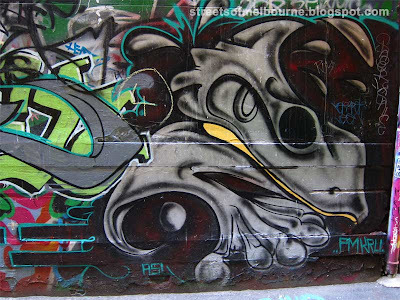 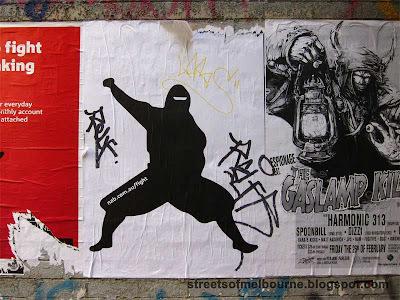 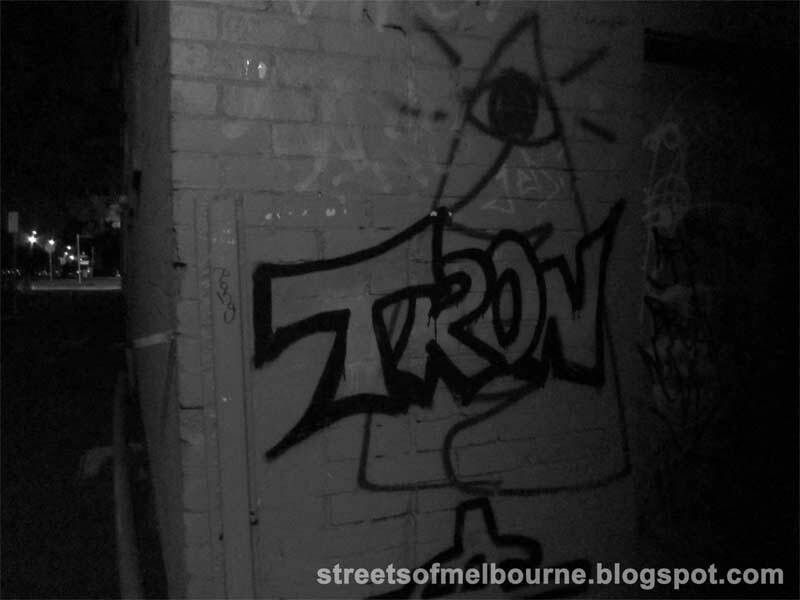 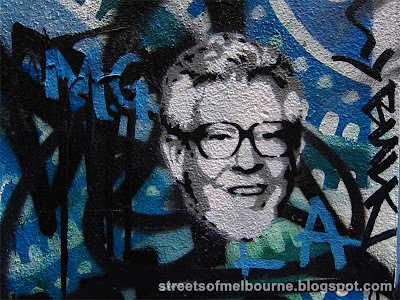 Sighted in Melbourne CBD on the 13 of March 2010, on the corner of Queen and Latrobe Street. 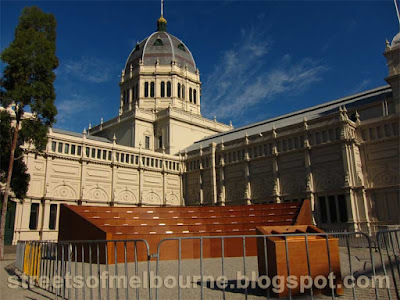 A scale replica of former U.N. office in Geneva, Switzerland, on the site of Australia's first Parliament: Royal Exhibition Building. 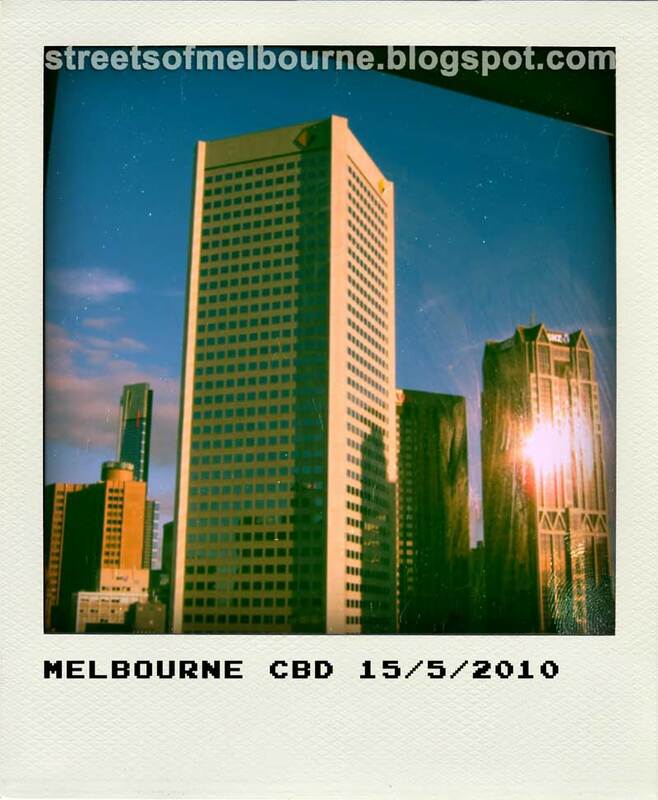 For this image I cropped it with Photoshop and used the program Poladroid to give it a polaroid effect. 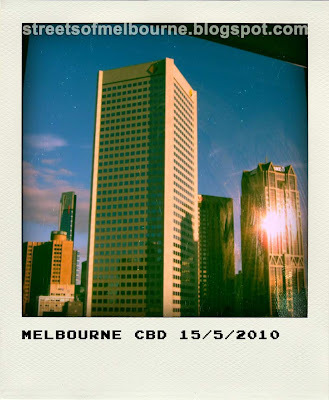 A print of this picture can be found here at Redbubble. 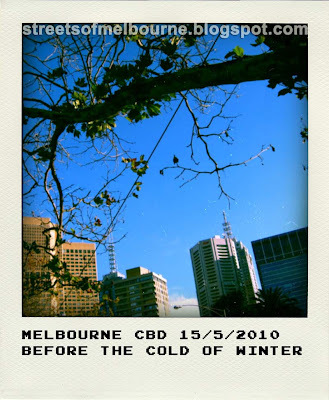 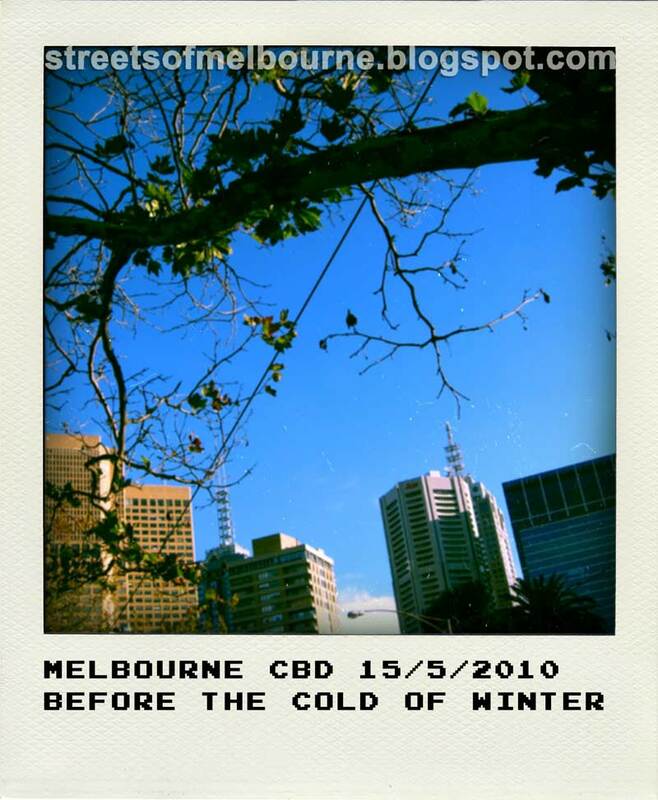 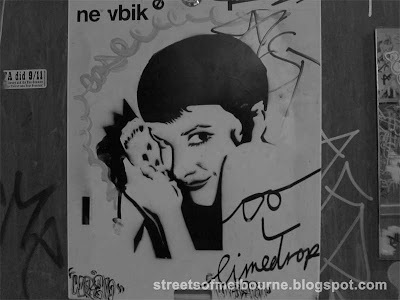 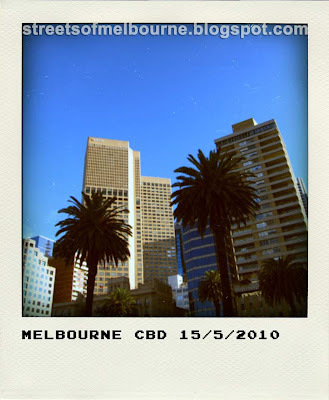 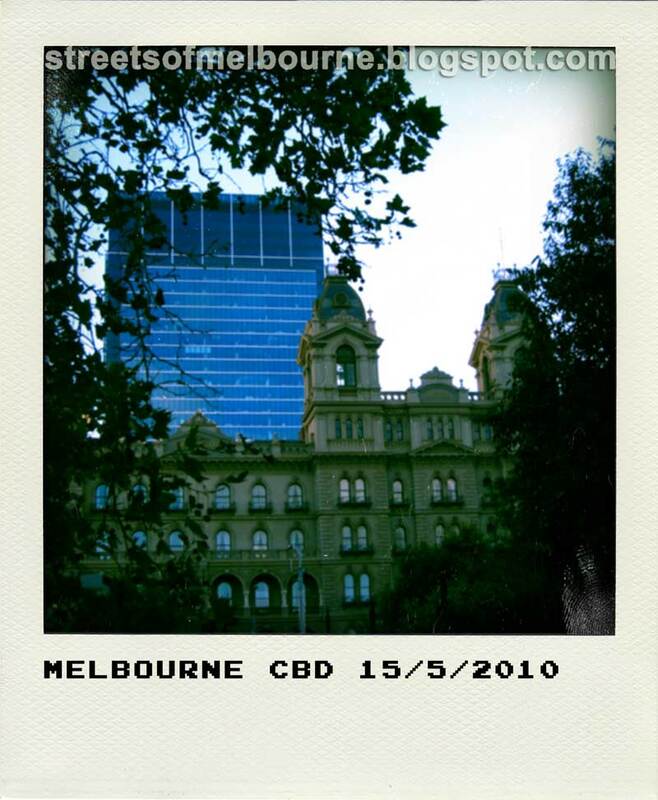 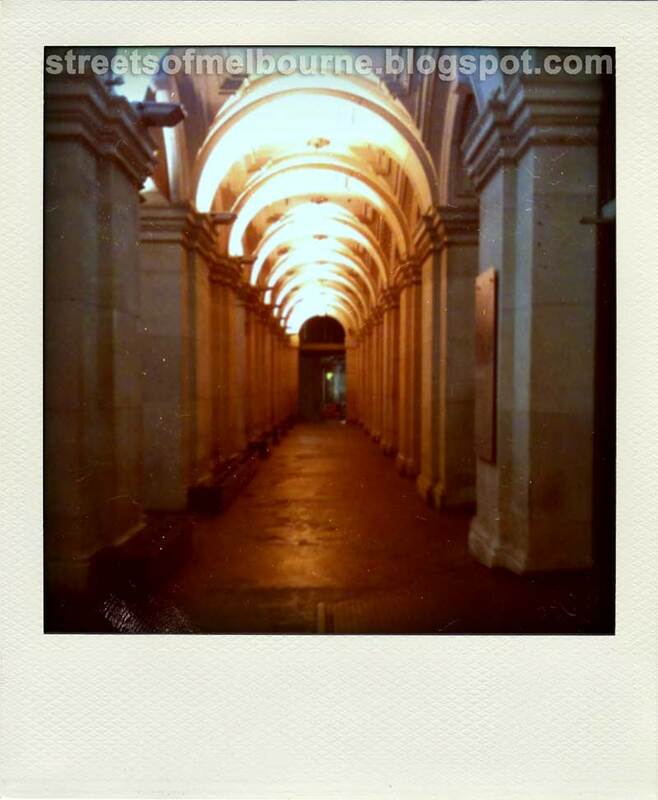 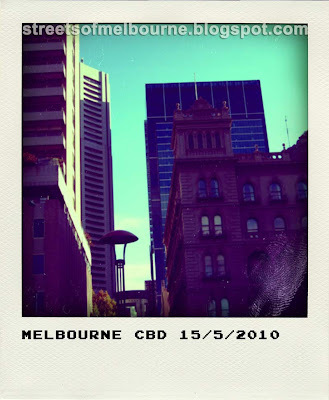 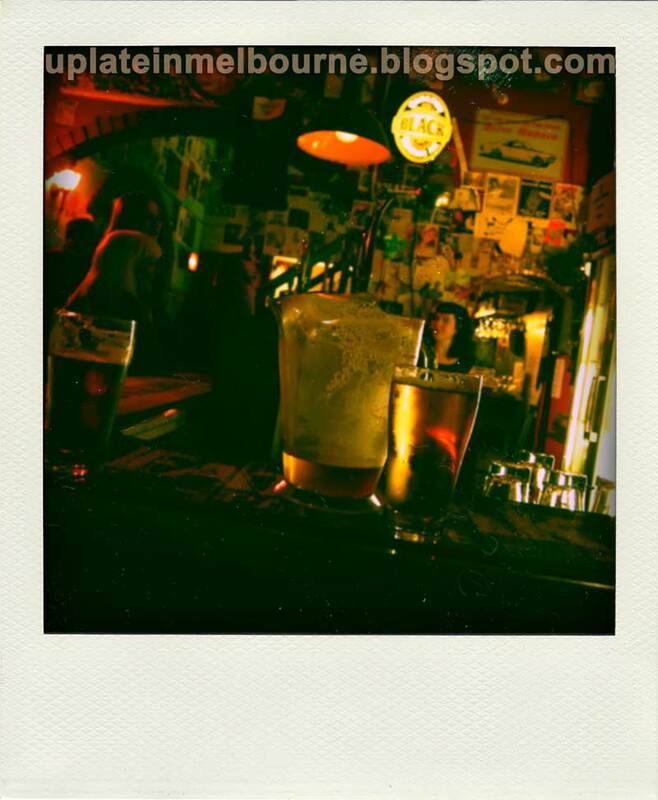 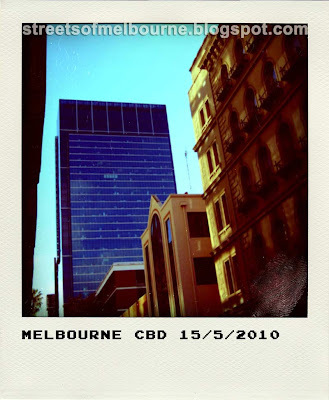 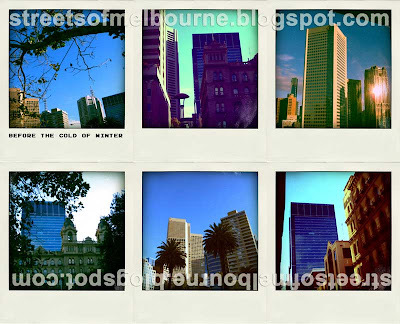 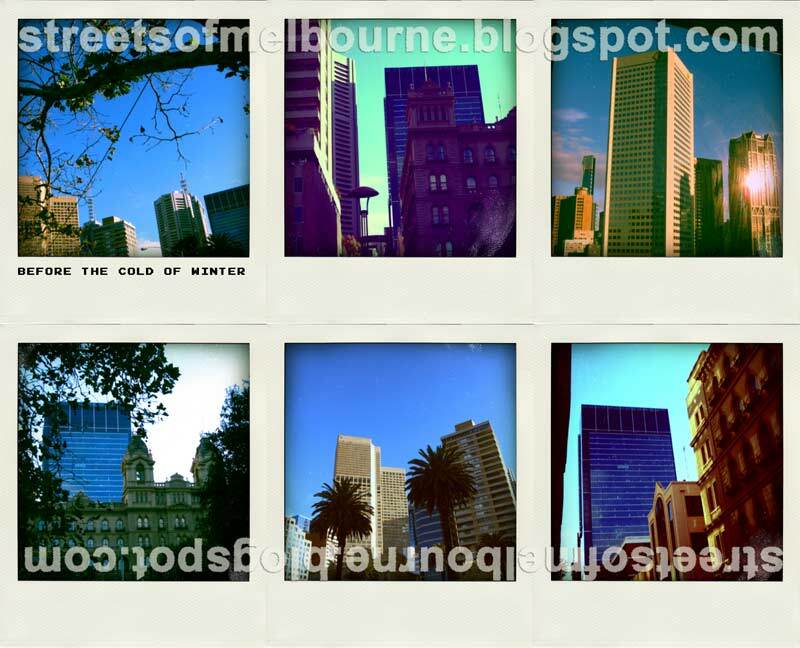 A collection of my polaroids of Melbourne CBD, put into one, you can get a print of this at Redbubble. 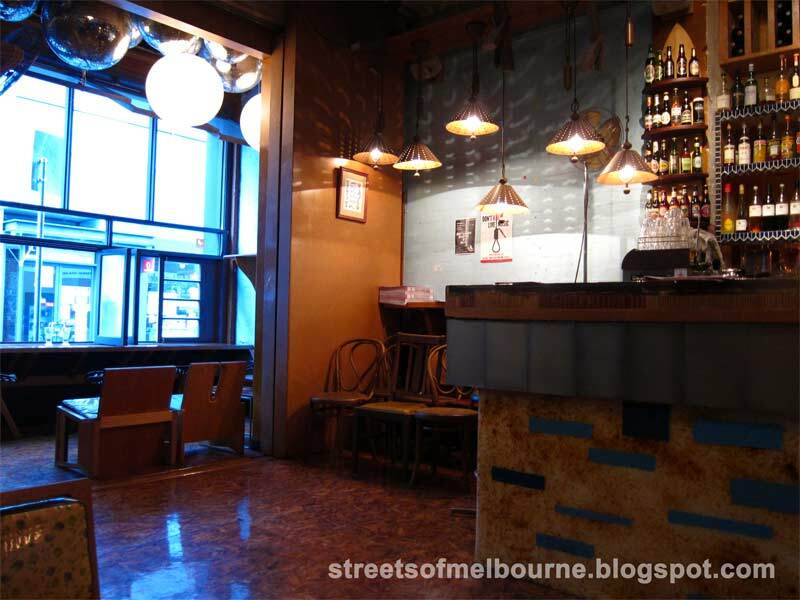 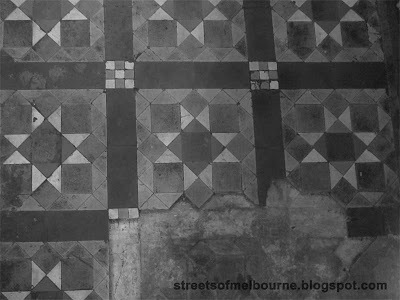 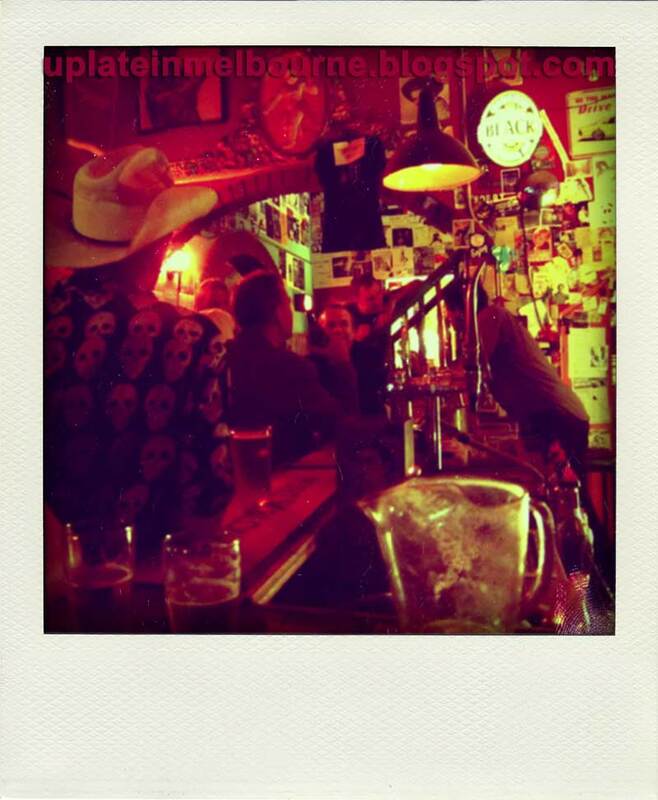 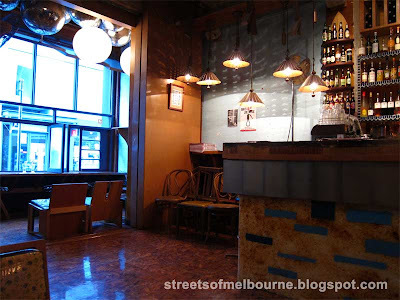 Inside a Horse Bazaar, a Melbourne bar, located 397 Little Lonsdale St. Taken on the 24th of February 2010. At first sight I thought this was cool, but now looking at it I found something on this leg, yes a link to a NAB (National Australian Bank) Website, at the moment it's not an available site. Corporations are now moving into street art. 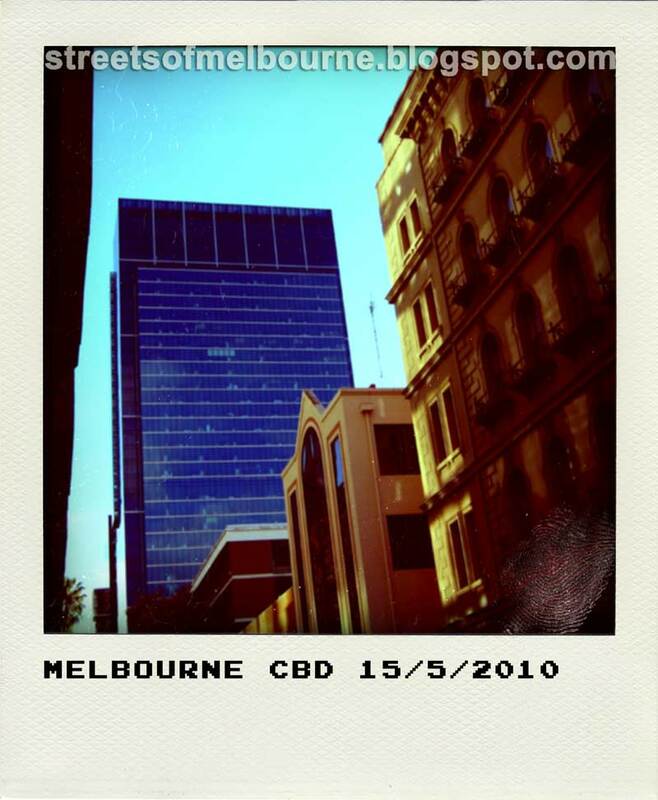 A tilt shifted print of this can be bought at Red Bubble. 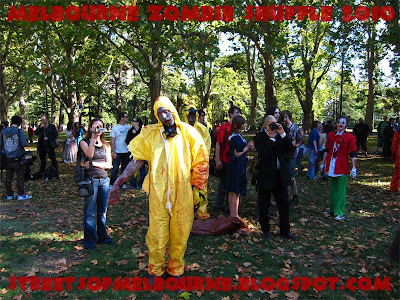 Sighted in Carlton Gardens on the 1st of May 2010, at the Melbourne Zombie Shuffle. 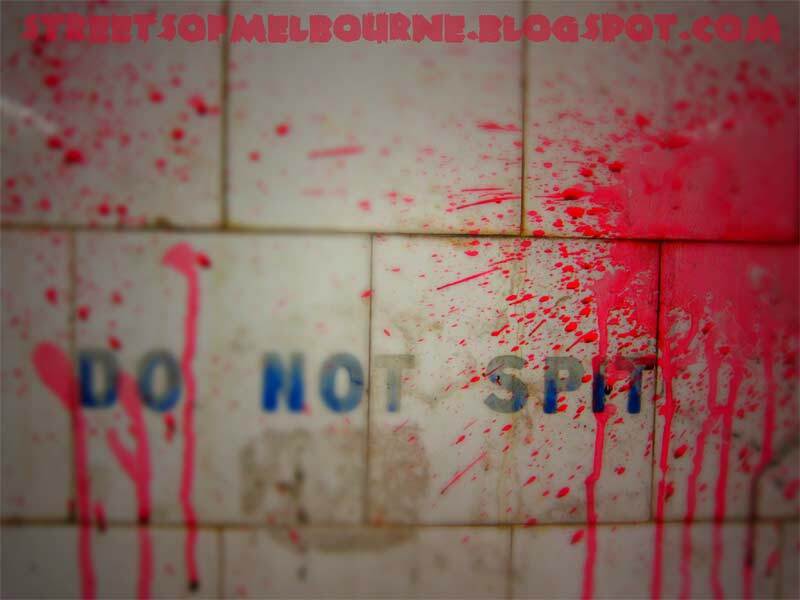 Sighted in Flinders street Station underpass, Melbourne CBD, on the 1st of May 2010, as part of the Melbourne Zombie Shuffle. 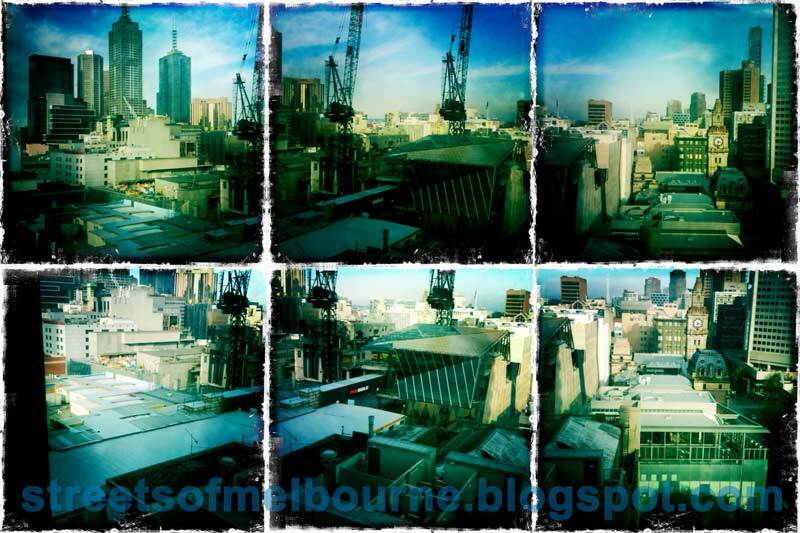 You can buy a print of this at Redbubble here. 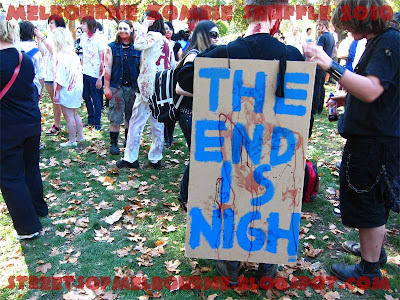 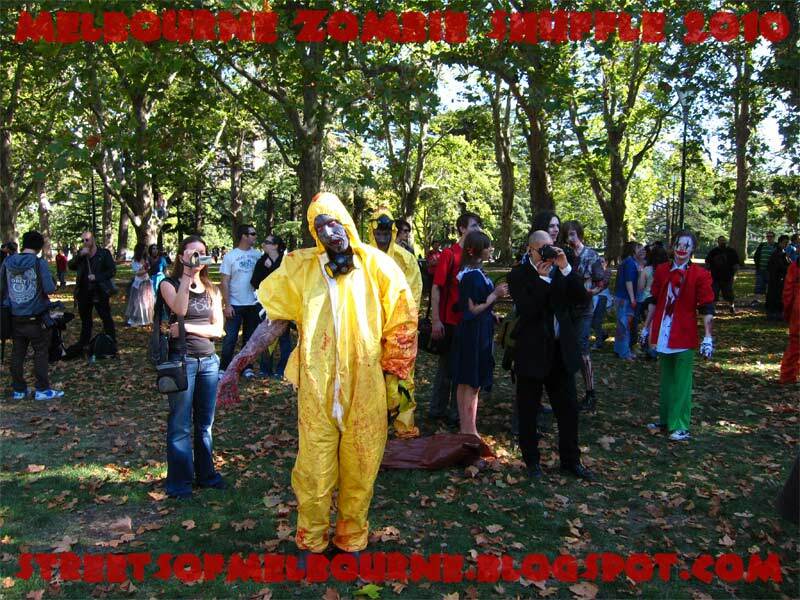 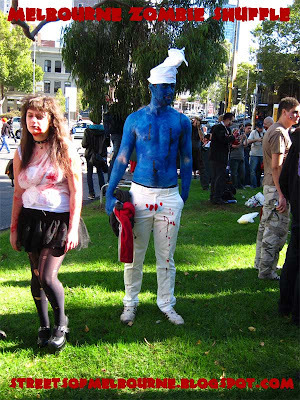 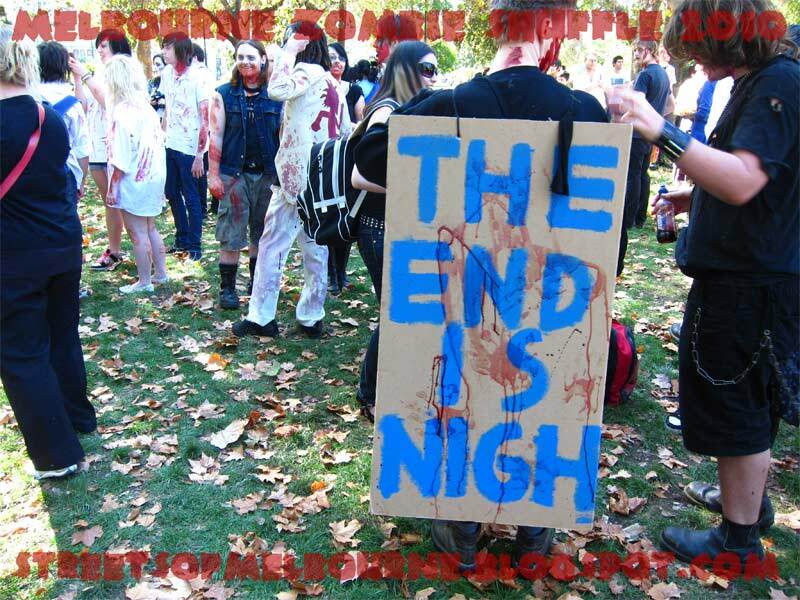 Taken on Saturday 1st of May at the Melbourne Zombie Shuffle in the Carlton Gardens. 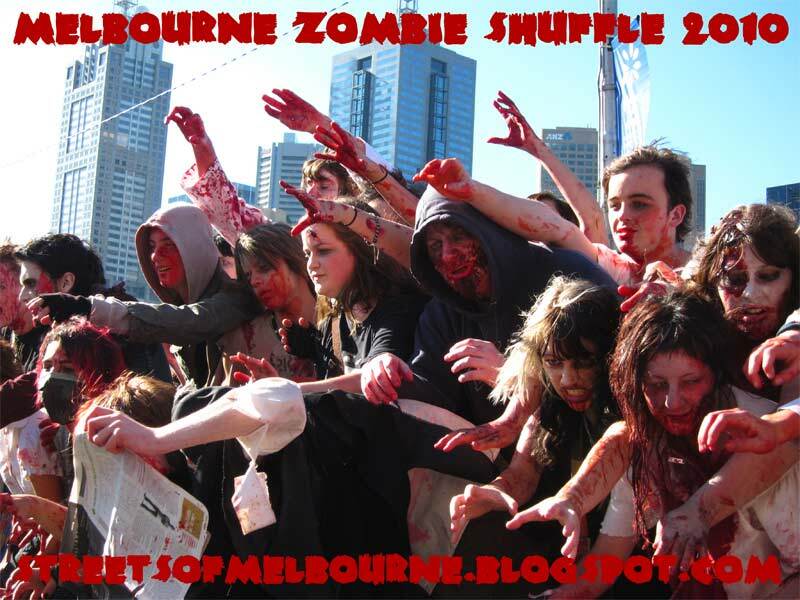 Melbourne Zombie Shuffle happened today, it was bigger than last years, thousands of people dress as Zombies for fun (estimated at about 4,000 Zombies) took over Melbourne and stacks of people taking video and pictures too. 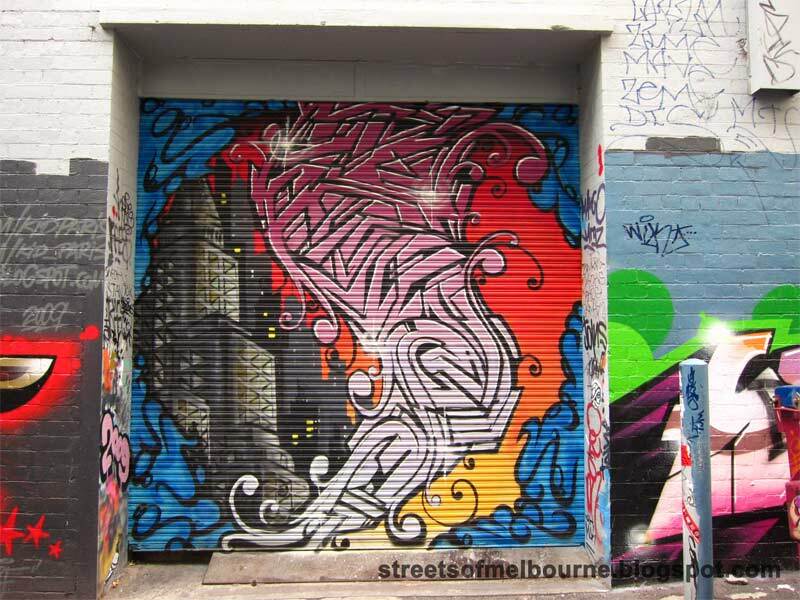 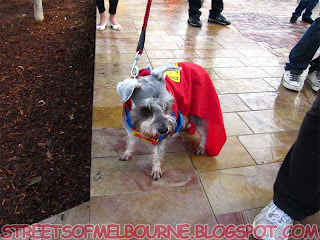 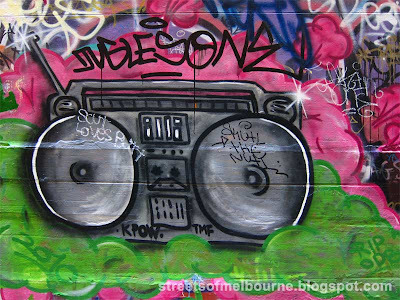 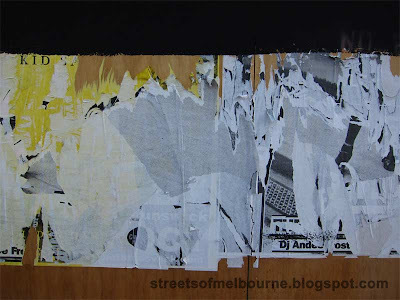 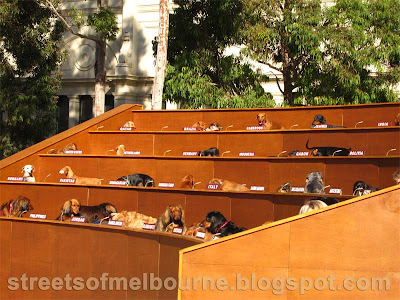 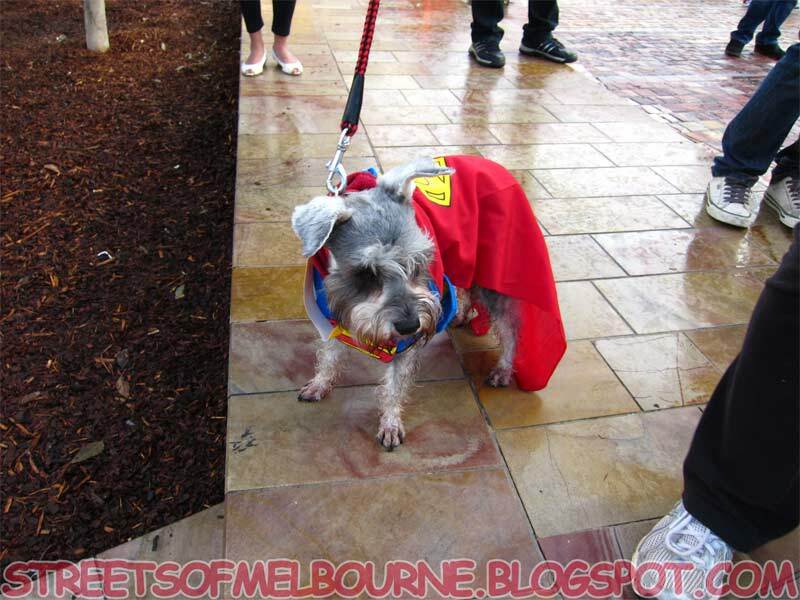 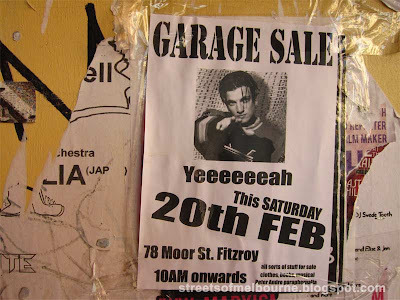 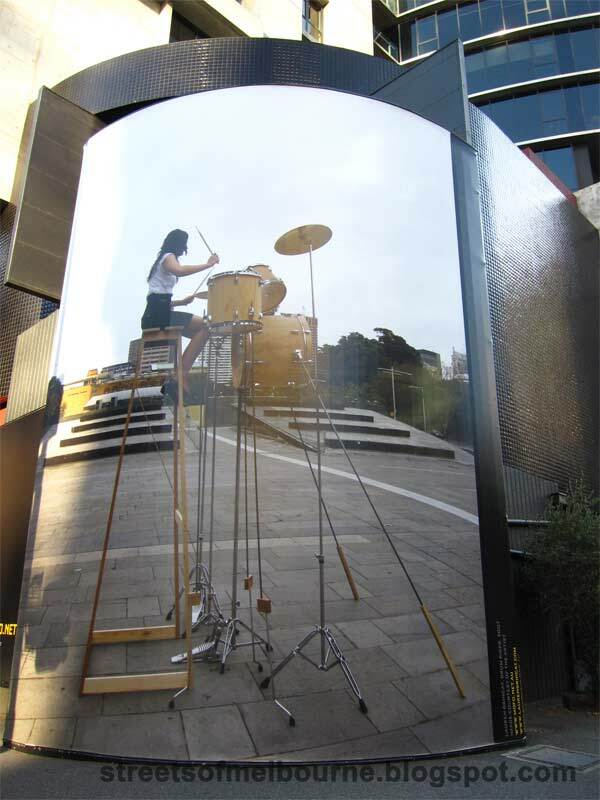 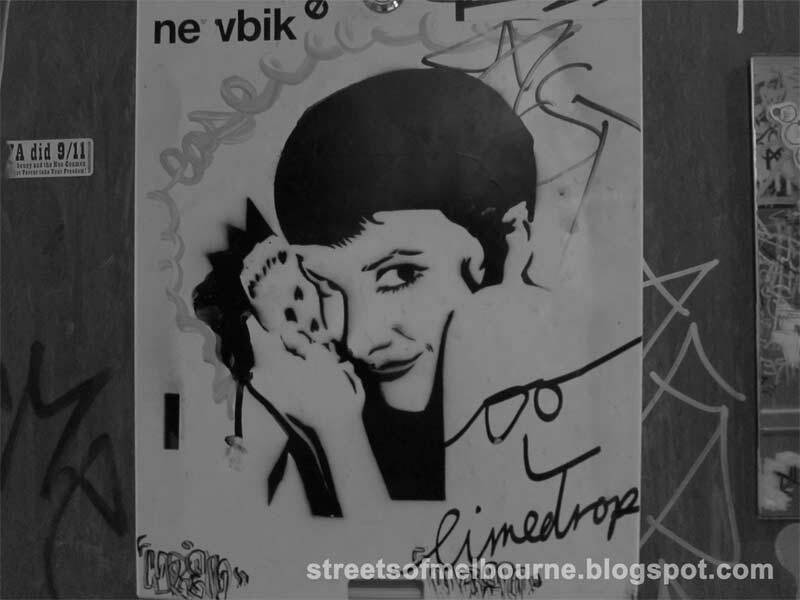 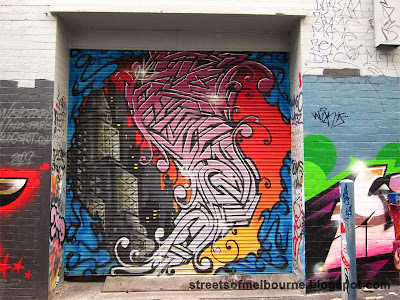 This shot was taken on St Kilda road.